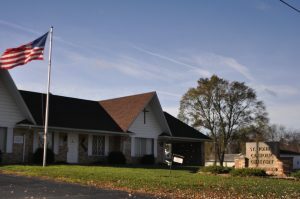 St. John’s Catholic Cemetery is Jackson County’s only Catholic cemetery serving the Catholic community at their time of loss. St. John’s Catholic Cemetery is a parish cemetery, rooted in the firm belief in the sacredness of human life. St. John’s Catholic Cemetery’s 80 acres of consecrated grounds are well maintained by cemetery staff. Since the mid 1800’s, we have and continue to develop and beautify our grounds for future interments. 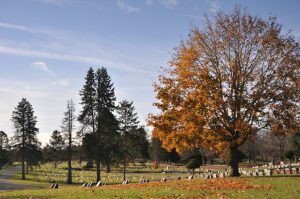 Our cemetery strives to be a source of comfort and support during your time of need. We invite you to visit St. John’s Catholic Cemetery and experience the sanctuary of peace and quiet. We encourage you to use the cemetery to pray, reflect, and meditate. You are welcome to make an appointment, or just stop in and see us. We will gladly answer all questions. Call at 517-783-1728 or email Jenny. Click here to see our current prices (PDF).